What do you think the third leading cause of death is in the United States? According to the Centers for Disease Control (CDC), it’s chronic respiratory disease, which took 149,205 lives in 2013, following 584,881 cancer deaths and 611,105 heart disease deaths. But researchers at Johns Hopkins University School of Medicine think that number three spot should go to a different issue – one they estimate took over 250,000 deaths in 2013. This issue isn’t a disease or an accident, although it can be linked to these. It’s medical error. And according to the study the researchers published in the BMJ, it may be accounting for almost 10% of deaths every year. The CDC evaluates data from death certificates when it performs activities such as ranking the causes of death and making recommendations about priorities in the healthcare arena. Death certificates do list the cause of death, but they do so according to a system called the International Classification of Diseases (ICD), a list of codes that 117 countries use to determine mortality statistics. And the ICD does not have a code for medical error. Let’s say a patient comes to the hospital with disease X, a disease that can be easily treated with drugs Y or Z. A doctor prescribes drug Y to treat the disease even though the patient’s records state the patient is deathly allergic to this particular drug. Sure enough, the patient dies. How will this be recorded on the patient’s death certificate? Chances are it will say the patient died of disease X. What happens if this scenario happens over and over? The CDC might start to take note. It might begin deploying researchers and funding to fight disease X. But the problem isn’t with disease X at all. After all, drug Z probably would have saved these patients. The problem is medical error. Clearly, this is an oversimplification, but it illustrates the problem. Without any records of the actual prevalence of medical error, we give insufficient attention to its prevention. The authors of the study suggest that errors need to be better recorded not so that doctors can be punished, but so that everyone can better understand why errors happen and how to prevent them. More information about the prevalence of errors would also improve accountability. 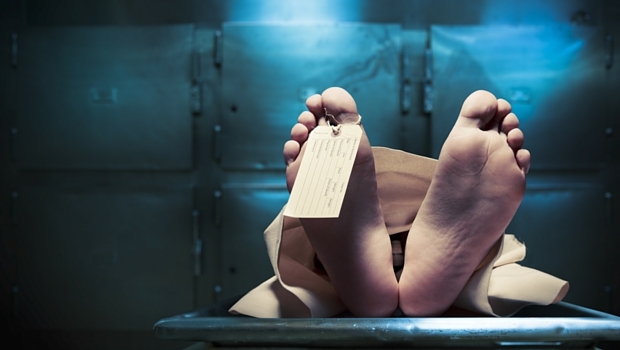 Adding a field for medical error to the death certificate codes would be a good place to start. Doctors and nurses are only human, so there are always going to be mistakes, especially when you’re working with the human body, which is extremely complex. But medical error shouldn’t be the third leading cause of death. The medical and political communities need to begin calling for more accountability and more research into how to minimize these errors. In the meantime, remember that medical professionals aren’t infallible. If something doesn’t seem right to you, speak up. A good doctor will always be able to explain his or her choices and recommendations in terms that make sense to you. If not, seek a second opinion. Your life may depend on it.